We want to thank you for the great job that you did on the painting and the professional manner in which you handled things. It was a real pleasure working with you. I will keep you in mind the next time that I have an occasion to hire a painting contractor. Bonnie K.
...to provide the best service and customer satisfaction found anywhere. Our goal is to exceed our customer’s expectations. We do this by offering options. Signature Painting will make recommendations as to paint brand or finish, but we will always listen to your desires. 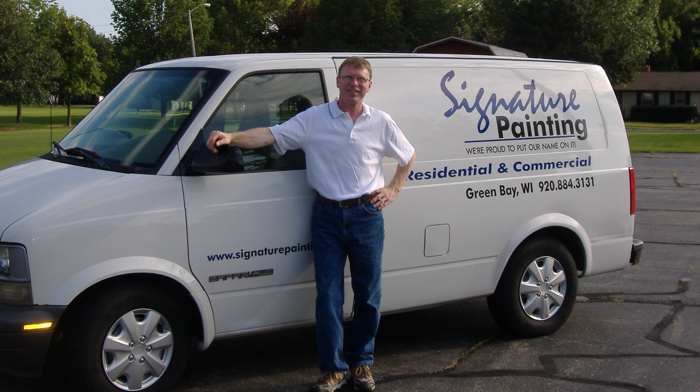 Signature Painting will offer alternatives to its customers which are environmentally friendly upon request. Signature Painting raises the bar in the painting industry, offering the best of its experiences, superior products and services and always listening to the customer’s wants and needs.